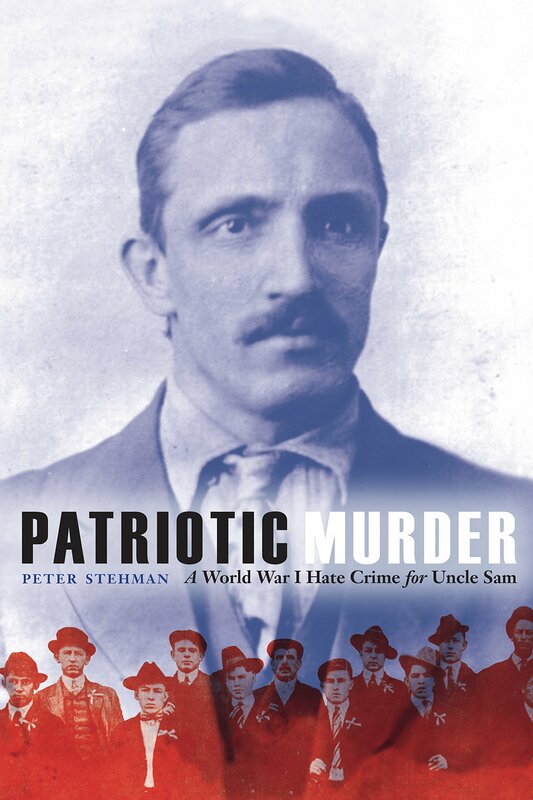 PATRIOTIC MURDER: A WORLD WAR ONE HATE CRIME FOR UNCLE SAM by Peter Stehman. Published by Potomac Books, October 1, 2018. I’m a historian and genealogist. Quite naturally (at least to me), it means I spend a lot of time poking around in old cemeteries. And so it was that, many years ago, I drove through the entrance of Saint Matthew’s Cemetery, in the south St. Louis neighborhood where I was born and raised, many years ago. Not too far inside the cemetery, I saw the headstone on my left. There is a porcelain photograph of a man on the front of it. A quick online search revealed that Robert Prager was the only German national lynched in America during the Great War. Robert had come to America seeking a better life, and the misguided patriotism of a mob put an end to his life. People described him as being very angry and very lonely. He sought a mail order bride, a common thing to do at the time. He worked for a while as a baker in St. Louis. 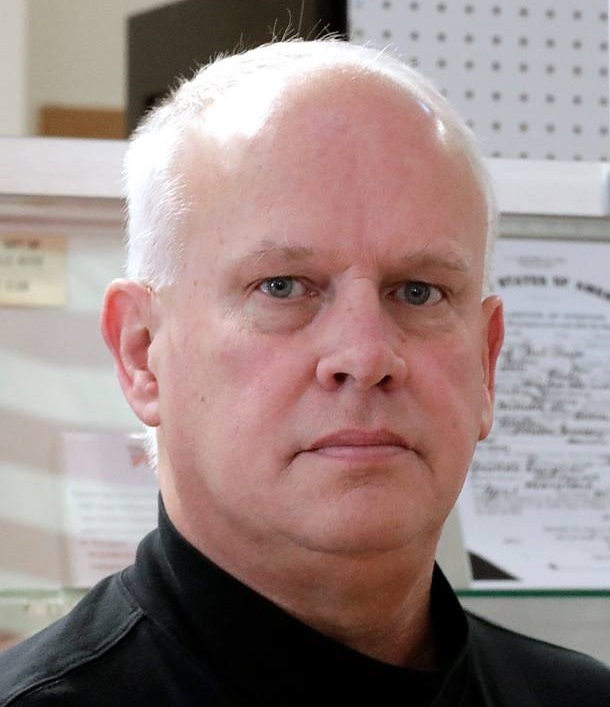 He then moved to Collinsville, Illinois where he worked in a coal mine. Rumors and innuendo quickly began to swirl around him. They said he made disparaging remarks about Woodrow Wilson, and about America’s entry into the war. They even said he was engaged in human trafficking. So the mob came to his little shack in Collinsville. They made him march barefoot along a road that led out of town. They beat him mercilessly. They made him kiss the flag and sing patriotic songs along the way. He did so quite willingly. There was talk of tarring and feathering him. Someone found a rope. He wrote a short letter to be sent back home to his parents in Dresden. And then they hung him. It took three attempts to get him off the ground far enough that he slowly strangled. A few hours later, the coroner used a pocket knife to cut the rope and claim Robert’s body. Peter Stehman has written the definitive account of Prager’s murder. He describes the situation in Collinsville leading up to the lynching quite well, telling readers how social, economic, and labor relations issues led to this permanent stain on the reputation of Collinsville and America. Stehman describes how “mob mentality” quickly took over, and how anti-German sentiment was pervasive throughout the United States, thanks to people like Robert being classified as “enemy aliens” by the Wilson administration. We can be thankful that the story of this heinous act was covered extensively by newspapers in Illinois and Missouri, as these are the primary sources the author utilized in telling this tragic story. Robert was the only “enemy alien” lynched in America during the Great War. He was a victim of the mob mentality that, quite often, takes over a situation and masks itself as patriotism. Eleven men were eventually brought to trial for this murder. Robert Paul Prager was lynched because he was German, because he may have acted and spoke differently than “real” Americans. Robert’s story perfectly illustrates why history is so important. If we do not remember history, we’re doomed to repeat it.